If ever it seems like the Jesus of the Bible and the Jesus of popular culture aren't the same person, this book is for you. Interested in the culture at the time of Jesus? Beginning with Jesus' birth, Ken Bailey leads you on a kaleidoscopic study of Jesus throughout the four Gospels. Bailey examines the life and ministry of Jesus with attention to the Lord's Prayer, the Beatitudes, Jesus' relationship to women, and especially Jesus' parables. 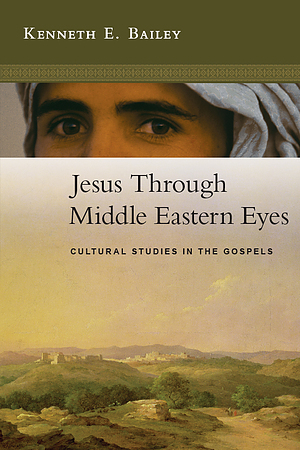 Jesus Through Middle Eastern Eyes by Kenneth Bailey was published by SPCK in March 2008 and is our 1935th best seller. The ISBN for Jesus Through Middle Eastern Eyes is 9780281059751. If you know that Kenneth Bailey spent forty years living and teaching the New Testament in the Middle East then you will understand how informative and revelatory this book is. And if you have read any of his other works you will be aware how he can cut through the accretions of centuries of westernization of the Gospel and can present it with fresh eyes – the eyes of those who have lived in the same social milieu as Jesus. This is a marvellous book for the general reader and preacher alike, reaching beyond the Lukan focus of his previous titles to present startling insights into many of our favourite Gospel passages and imbuing them with a genuinely Palestinian perspective. Ever read the bible, get it in part, but still think you're missing a whole lot? A gift from the small group that I support at work, it has been a significant help to get me closer to understanding what the real, radical Jesus is saying in order to GO into all the world..... Serious study but readable, revealing and can be read on a chapter by chapter basis - if you can put it down. Read with the bible passage narrative, ponder and invite God the Holy Spirit to speak. Very impressed by Bailey's revelation of the understanding of people in Jesus' time to what Jesus did and said. Eye opening and a blessing. Got a question? No problem! Just click here to ask us about Jesus Through Middle Eastern Eyes.